I am a third generation real estate salesperson who has held a variety of sales roles with Seiko Australia Pty Ltd, Reebok (NZ) Ltd and Holdfast Ltd before embarking on my real estate career in 2001. I worked for Ray White Hamilton as a salesperson and team leader from 2001-2009 and Lodge Real Estate, Flagstaff, Hamilton as Branch Manager 2009-2015. Lodge Flagstaff was the Number 1 office in August 2016 and Number 1 office for the quarter before my departure. Achievements Trust in excellence from my achievements and sales results: •	Rookie of the Year 2002 •	National Executive Member 2003 & 2006 •	National Premier Member 2004 & 2005 Qualifications Good information allows for good decisions and I believe it is essential to continually improve my knowledge. With this goal in mind I have completed the following: •	Advanced Diploma in Management 1997 •	National Certificate in Real Estate 2005 •	Branch Manager 2006 •	National Diploma In Real Estate 2007 The next step for me was to become a franchise owner. I am proud to be the business owner and General Manager of Gold Star Real Estate and our four offices - Harcourts Thames, Paeroa, Waihi and Waihi Beach. My goals are to support and assist the offices continue to strengthen and grow in their regions. I am most proud of the community spirit and involvement, family values and integrity of each and every member of your local Harcourts Gold Star Real Estate office. Dee started her Real Estate career in 2006 having lived in this Region for most of her life, Dee has gained a wealth of local knowledge. Dee is a dedicated Real Estate Consultant who brings enthusiasm, friendliness and determination to her dealings. She believes that her positive attitude and genuine concern for the people she works with are invaluable attributes for building satisfying and successful relationships with her clientele. Dee believes that her strong family values, friendliness, professionalism, trust and honesty along with good communication and advice are key ingredients to achieving the best possible outcome for all parties involved. It is rewarding being able to help people achieve their property goals and move forward with their lives. It is very satisfying to see a deal come together that works for everybody. My aim is always to make it as enjoyable and stress free as possible. Dee has consistently been a Top Performer and on a number of occasions attaining Regional Sales Awards. 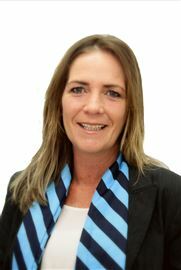 Dee would welcome the opportunity to discuss your property requirements, be it purchasing or selling. I am proud to have satisfied clients that are happy to give references. Recommendations Lyn Bryant Professional outstanding service. Dee spent alot of time understanding the mining aspect and putting forward proposals on my behalf. I cannot speak highly of her knowledge, integrity and commitment to selling my property. Having been in the industry for a long time Dee knows the local market and presents herself confidently. I have and will continue to recommend Dee as a Real Estate Agent. She keeps you up to date at all parts of the process. Rob and Janene Riedstra Dee provided an excellent service with excellent communication. Her advice prior to sale, in getting the property ready was of great assistance and helped in us getting a good price the home. 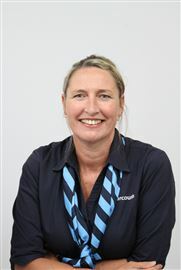 Robyn Schuts Dee Stevenson is a modest person who has a caring and friendly nature. This reflects in her amazing ability to connect well with people, a much needed attribute in the real estate field. Professionalism is incredibly important when dealing with people's financial decisions, purchasers and sales of properties and Dee excels in keeping a good professional approach at all times. Dee works hard to achieve an excellent result for her clients and I am happy to confirm that she certainly succeeds. If you are looking for the best possible experience you can expect and a trustworthy, hard working real estate agent, look no further because you have found her. Very Happy Customer Lionel and Monica Tuck We would like to commend Dee Stevenson for the manner in which she did her work in finding us a new home in Waihi, thus making what is reputedly one of the most stressful times in life a good experience. Dee listened to our requirements in what we were looking for and then proceeded to find us appropriate properties to view, without wasting time by taking us to properties that did not meet our needs. When viewing properties she pointed out all features, and then gave us space to make our own decision. Once we had decided on the preferred property, we where very pleased with the extra assistance Dee gave is with local knowledge to point us in the right direction to find appropriate help to satisfy any concerns we had. In all Dee acted in a very professional, timely and helpful manner throughout the process, and we would like to thank and commend her for this. Having now been here for six weeks we can honestly say we are happy with our choice, thanks to Dee for her help. Colleen and Syd Haggie We would like to congratulate Dee on her professionalism in selling out home. Her knowledge and marketing skills, made an easy transition of a stressful situation. We recommend Dee’s attention to detail, presentation and full commitment to the sale of any home. Dee was always there in every aspect of the successful consultant. We cannot speak anything but well of her dealings with the sale of our house. Marjorie Bordley Dee is one hell of a special lady as well as a proven, top real estate agent. She combines dogged determination and unstinting attention to detail with sincere friendliness and empathy (much appreciated by us over the past months). Her regular feedback, positive attitude and heartfelt reassurance were always delivered with her winning smile. Many times Dee went beyond the call of duty, putting us, her clients, first. We would recommend her with complete confidence to any prospective vendor or purchaser. Vanessa and Roger Twidle Having listed our home with Dee we found that she provided exceptional service to us by ensuring that we were always fully informed of how things were going with house sales in the area and possible interested parties in our house. Dee gave us plenty of time of prepare when she brought someone through our home and when we did get an offer she went above and beyond our expectations to secure the deal. Margaret Brewer Dee has become more than a fantastic real estate agent - she has become a friend. I have never seen a professional person work so tirelessly to achieve her clients goals, all with helpful advice, encouragement and purpose. She has been outstanding in her work and I am so thankful she was recommended to me. Her focus, attention to detail, insight and her ability to listen has made my moving a lot less stressful and whenever possible she has gone far beyond her brief in sheer helpfulness. Well done Dee - I recommend anyone in the property market to you, without reservation. A true professional in Real Estate. Not content with just being a deer farmer, John decided to branch out and become a real estate agent. This was in 1992 and over that time he has seen many changes in real estate in the Waihi region. Waihi has grown in tourist potential and has seen prospective buyers come from large cities who want a quieter life in a small town that still offers the amenities of a big city. John started his working life as a share milker on the family farm at Gordonton on the outskirts of Hamilton. The opportunity came in 1971 to purchase the family farm and with his wife, Helen had one of the highest producing dairy farms in the Waikato. Looking to diversify, in 1979, John was one of the pioneering deer farmers in the Waikato. Deer fences were erected on the back part of the existing farm, a deer shed built and ten wild deer arrived. From that he has built a quality deer herd of 200 breeding hinds. He was part of the original Waikato Deer Farmers Committee and was on the national deer farmer’s executive council for a number of years. 1987 saw another challenge with a move with the family, to Waikino and a 90 hectare hill farm which was reconstructed into a deer farm with a few sheep and cattle. 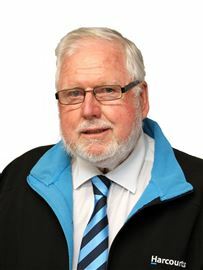 Since living in Waikino he has taken an active part in the community such as: committee member of the Hauraki Rail Trail, construction of Waikino Memorial Bridge, chairman of the Waikino Victoria Hall Committee and organising the annual art exhibition, ARTWaikino. John believes that clients want to work with someone who has a straight forward and honest approach. They also want someone who can give informed advice. This personal connection is made by listening to what clients require and then delivering. John has been married to Helen for 48 years and has two adult children and four grandchildren. Apart from enjoying the country life he has budget travelled with backpack to Laos, Cambodia, Penang, Australia, Mongolia, England, Nepal and India. Each one of these trips was an adventure and adds to the appreciation of what is on offer around Waihi. Seeing the potential that Waikino had to offer John and Helen have lived there for 30 years and their enthusiasm for the village has never waned. John takes delight in showing clients what the region has to offer and most of it is free! Real Estate has always been of great interest to Paul and he is thoroughly enjoying his career with Harcourts specialising in rural and lifestyle properties. The farming industry is well know to Paul as he has spent most of his working life as a dairy farmer in the Waihi area. Paul is focused on a friendly and professional approach and has an extensive knowledge of the area and market trends. Paul looks forward to meeting you and helping you to achieve a successful sale or purchase of your next property. Estate Sale - "SOLD AS IS"